The Star Saver Direct Account helps you to reach your savings goals. With access to your funds via internet and mobile banking only, you can avoid temptation and be rewarded with an attractive interest rate. To open a Star Saver Direct Account, apply online, call us on 1300 13 23 28 or visit your nearest branch. We get asked similar questions about our Star Saver Direct Account. Have a different question? Call us on 1300 13 23 28. Interest is calculated daily and is paid into your account monthly. No, there is no minimum balance required to get your savings started. What’s the maximum amount of money I can transfer? The maximum you can transfer at one time is $5,000. Are there restrictions on transferring money in and out of the account? 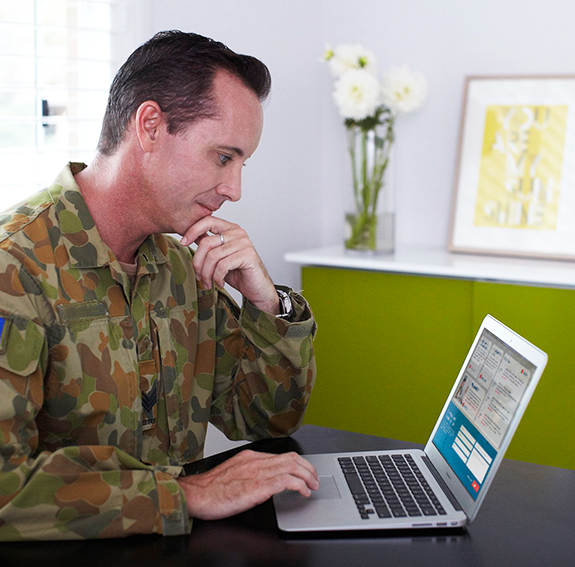 Transfers must be made into or out from your Australian Military Bank Access Account. Is there a cheque facility available with this account? No, the Star Saver Direct Account does not have a cheque facility. Refer to comparison table for a full list of features. "I feel like part of the Australian Military Bank family."